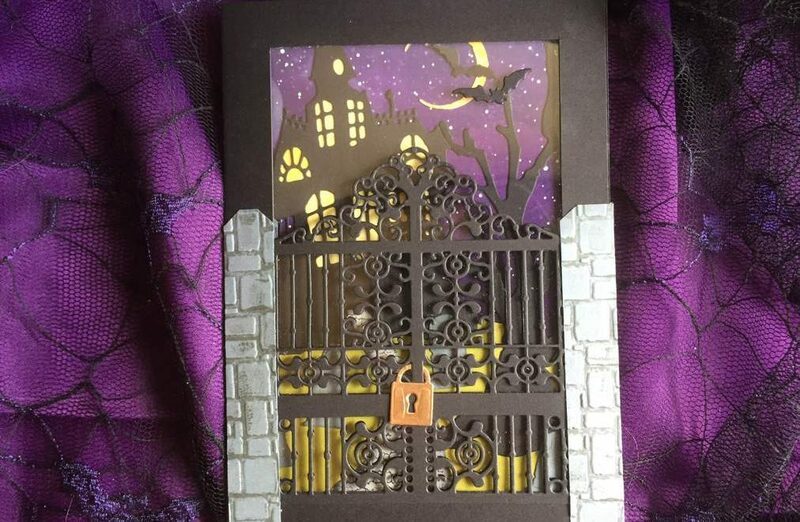 Sometimes the design on a card just calls for more than just a plain colored background. 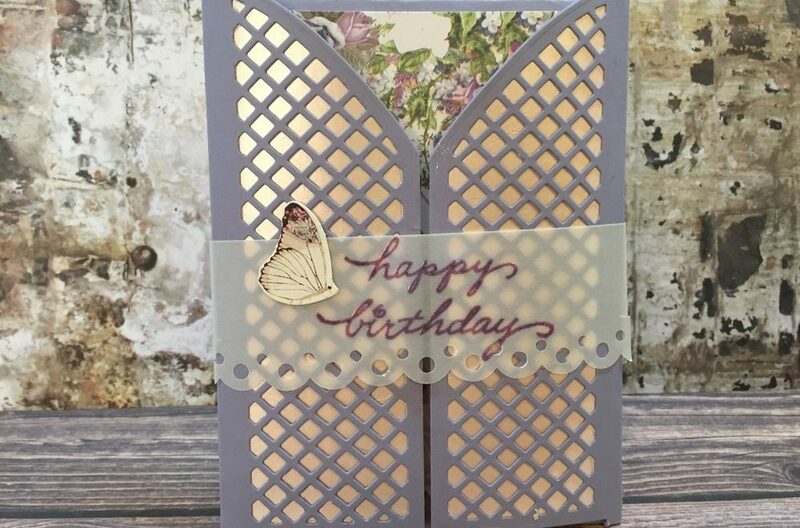 Simple designs and designs that feature crisp white foregrounds are two areas where just a bit of bling makes the card complete. 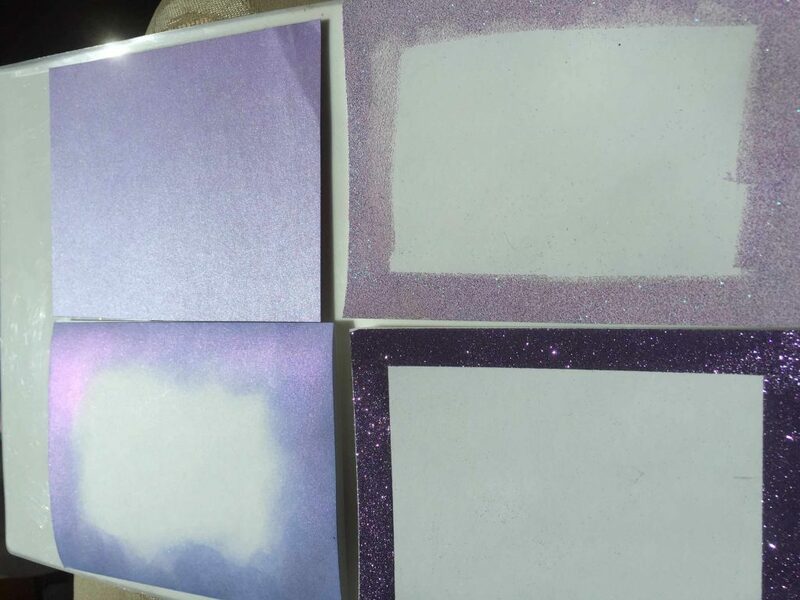 It would be great to have a craft-store-worthy supply of shimmery card background cardstock to pick from. But quite honestly, despite our best attempts to build such a stash, it’s just not practical. 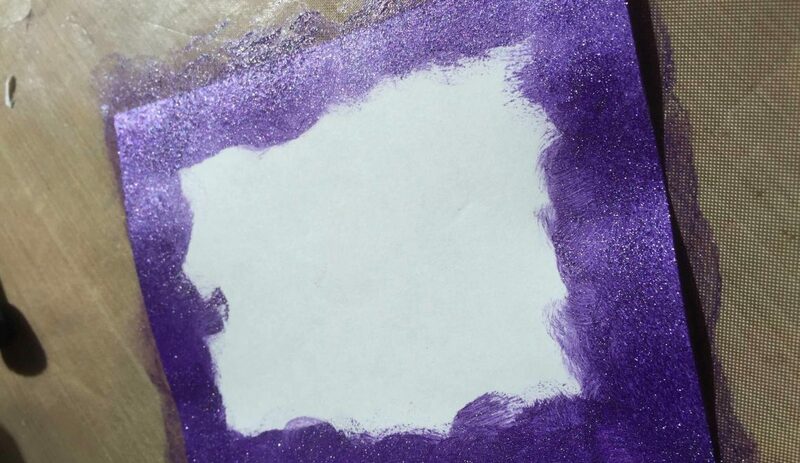 A while back, I picked up some lilac shimmery cardstock at a local craft store. 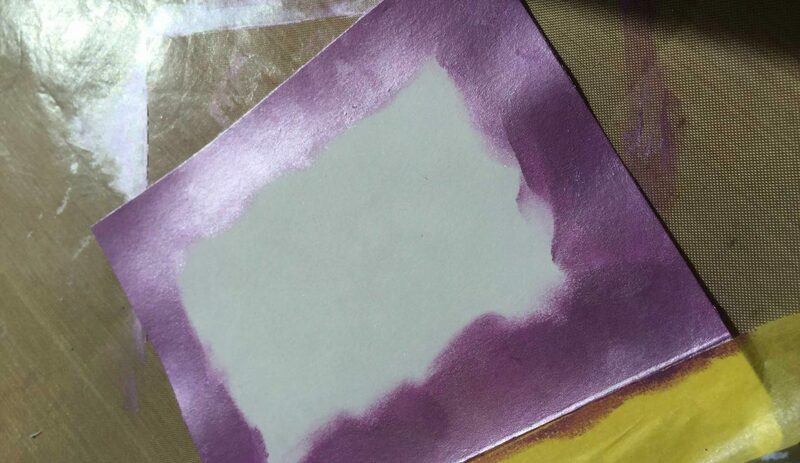 The sheen is beautiful, but at $1.09 a sheet, for a letter-sized sheet, it just wasn’t practical to buy more. Now I know why people are so enamored with A2-sized cards, allowing you 4 backgrounds from that one letter sheet. But it seems like you’re wasting a lot of paper for something that is covered up by the rest of your design. Not to mention, I prefer the extra landscape that A7 cards offer (5″x7″) as they more closely resemble the size of cards you see on the card rack at your local store. 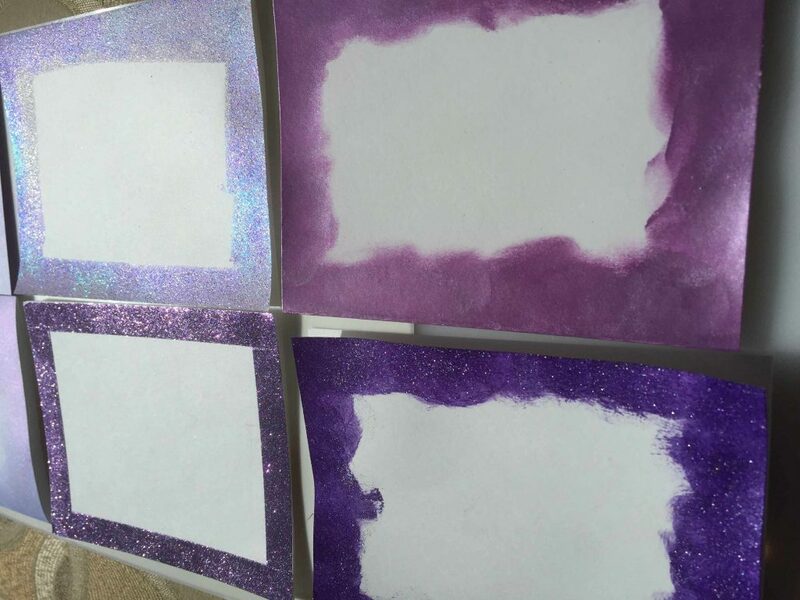 That means a letter-sized sheet only provides a background for just two cards, and a lot more wasted cardstock. I started with A2 card bases, applying product directly to the front of the card. 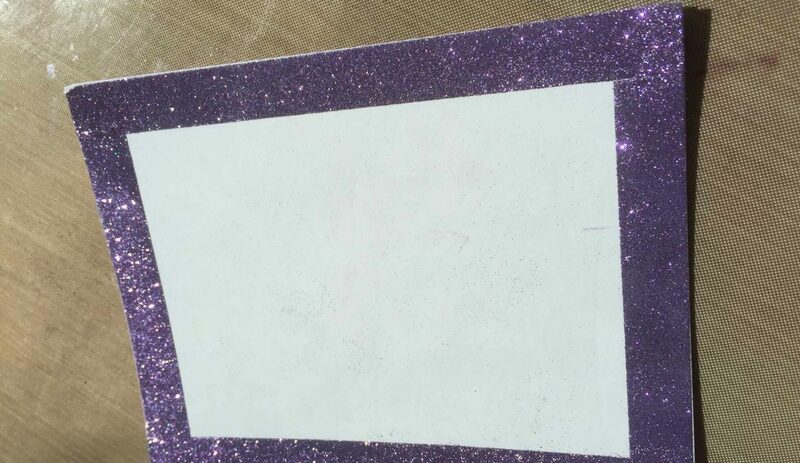 Since the rest of the card design will cover the center of the card, you don’t need to apply product to the entire surface. I wanted a quarte-inch reveal all around, so I applied each product to cover at least a half inch. That way if you use foam tape to provide some depth, there’s sufficient coverage underneath so white cardstock won’t show through. 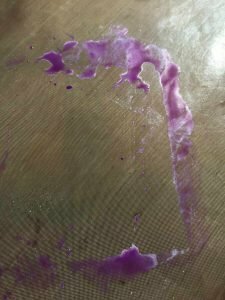 As part of cleaning up between each product, I discovered the Inka Gold left behind this awesome puddle of shimmer. 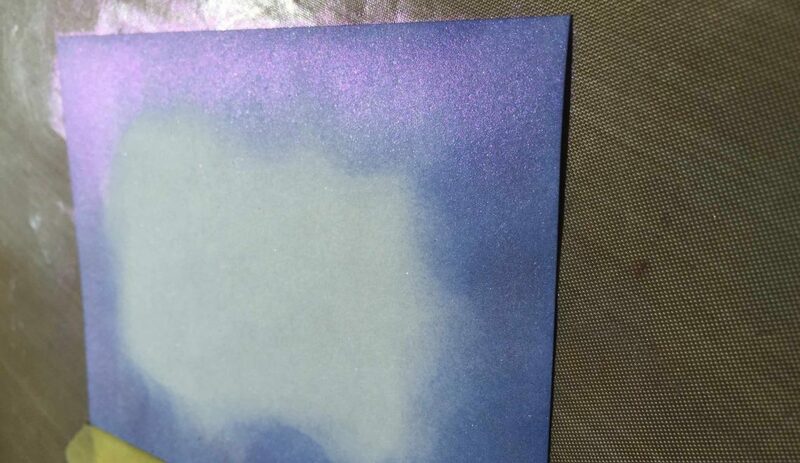 I’m inspired to mix together a couple of shades as a card base, look for that in an upcoming post. You can see in the gallery slider above the results of each product. The next set of pictures shows how they compare to each other. 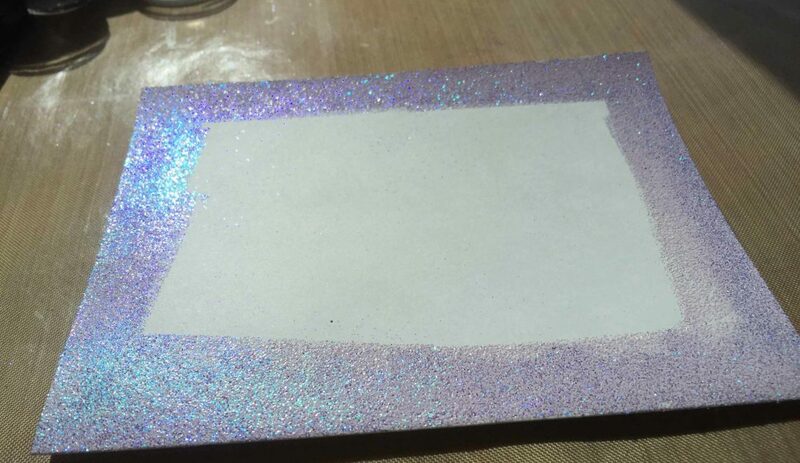 I ended up not using the lilac washi tape as the effect too closely matched the card with the glitter and there wasn’t a lot of washi on that roll. It was difficult to capture the shimmery aspect of all of them at once, apologize for the awkward angle of the picture, I tried to capture as much glimmery gorgeousness as possible. The verdict? 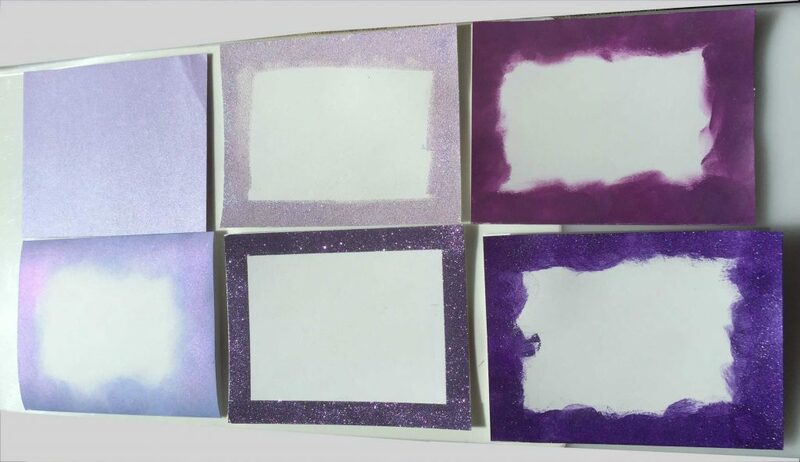 Looking at the last picture, you can see the variation in color. I’d pick the color that most closely matches the rest of your card. They’re all pretty in their own way. In my next post, I’ll show a card that I made using what I learned here. 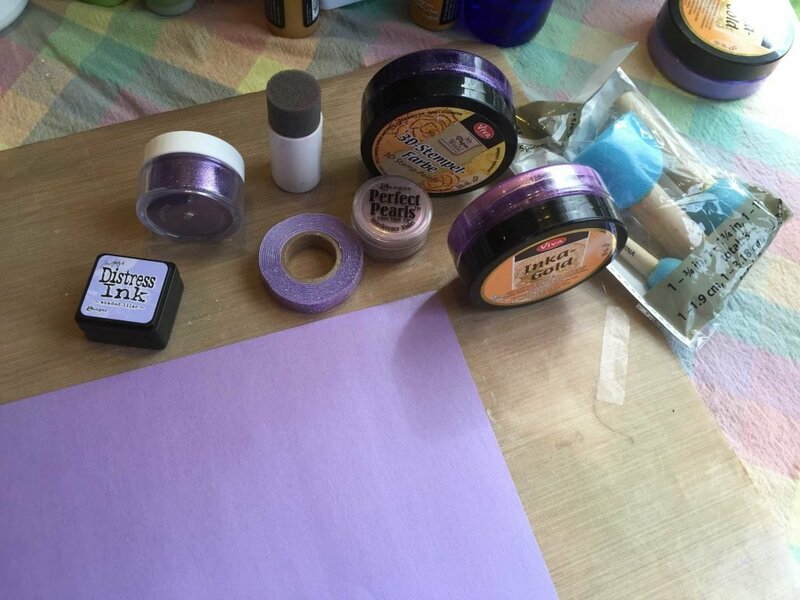 Stay tuned until next time and Happy Crafting! All six options together. You can see the wide variation in hue. 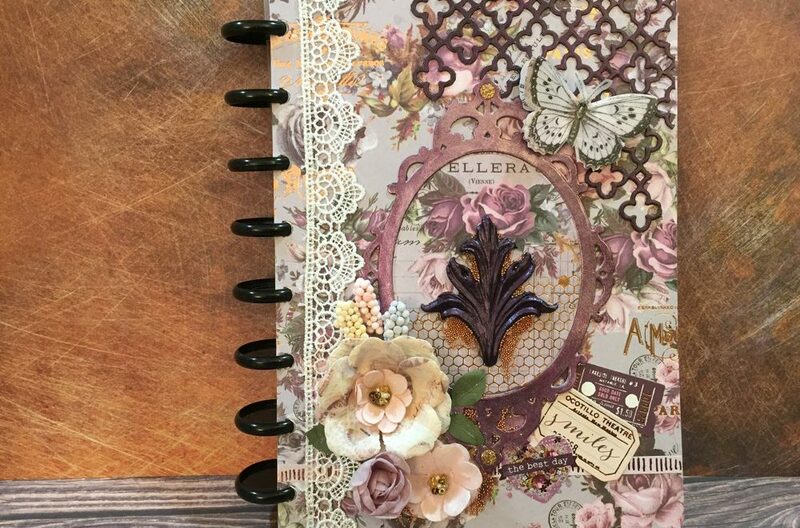 The Distress ink/Perfect Pearls comes closes to the shimmer paper.